Discover the best beaches in La Orotava, Tenerife. Even though only a small part of this municipality contacts with the sea as most of the coast has high cliffs, La Orotava has three stupendous beaches: Ancón Beach, Los Patos Beach and El Bollullo Beach. 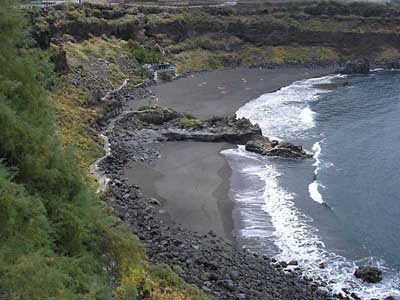 The three La Orotava beaches have black volcanic sand. The most popular are Bollullo Beach and Los Patos Beach, this last one also very popular among surfers and naturists, as its conditions are usually perfect for the practice of this sport and also nudism.